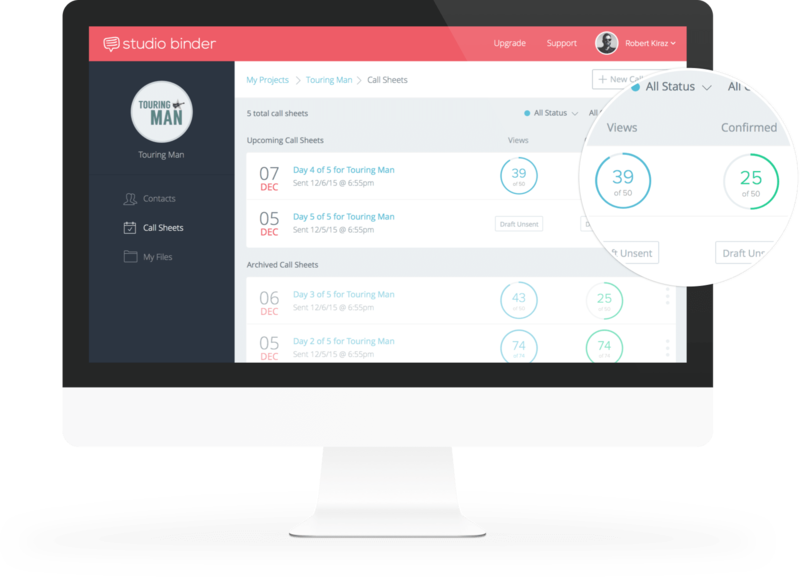 StudioBinder's free call sheet template builder is the easier way to create & send industry-standard call sheets online. Say goodbye to the Excel ﻿spreadsheet﻿. Built-in weather and hospitals. Map links are generated for all locations. 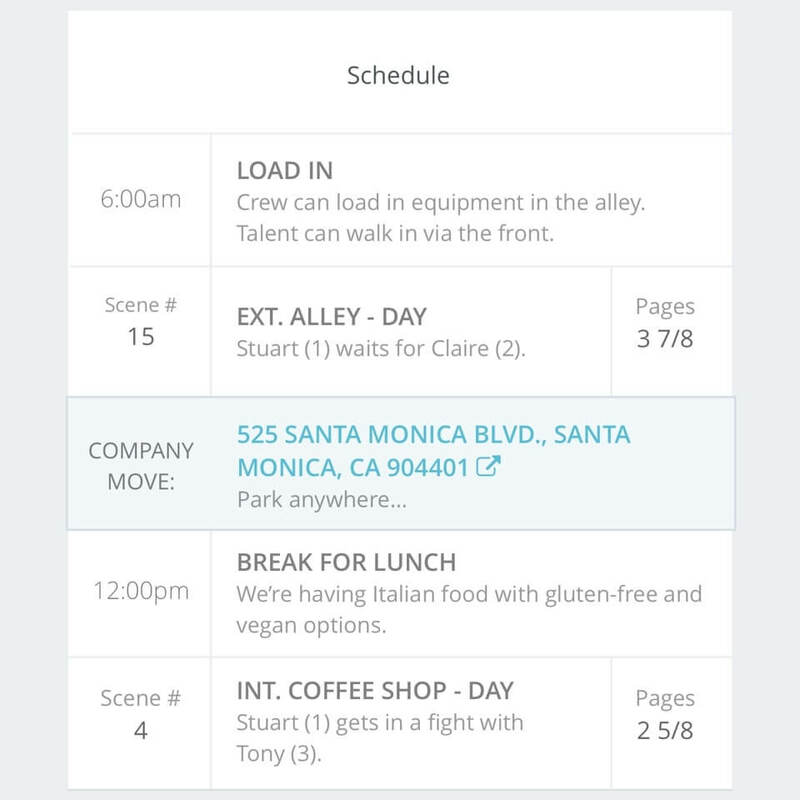 Add schedule items, scenes details, and company moves. 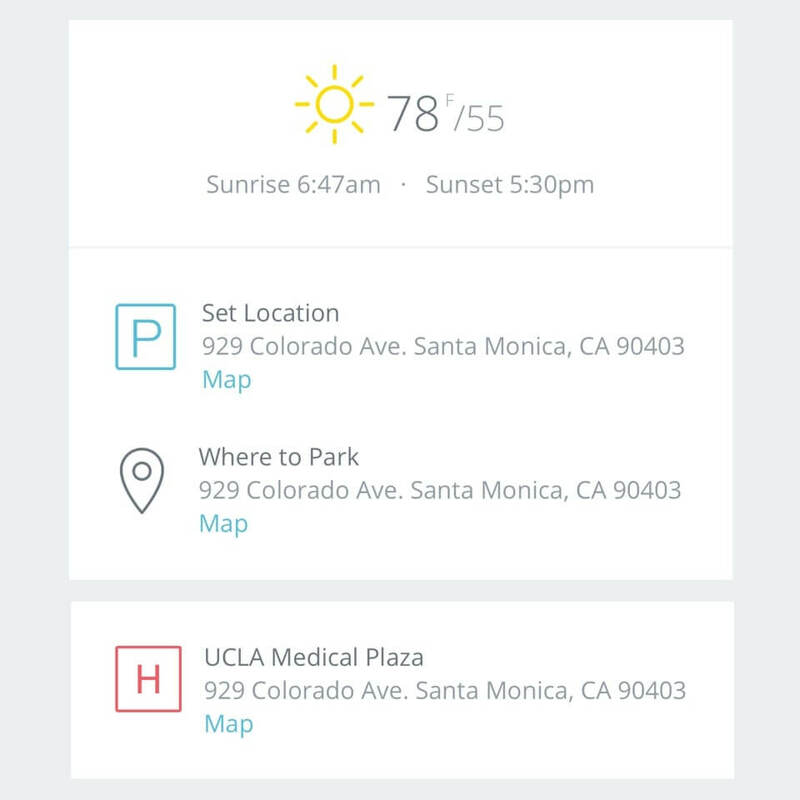 Add custom call times, private notes and parking for recipients. Our free, easy-to-use call sheet template allows you to quickly create and send professional-looking call sheets to your cast & crew. All call sheets are saved securely online so you can track when recipients view their call sheet. You can even manage cast & crew details and backup production files. See sample call sheet examples. Includes other great features that will take your call sheets and production to the next level. 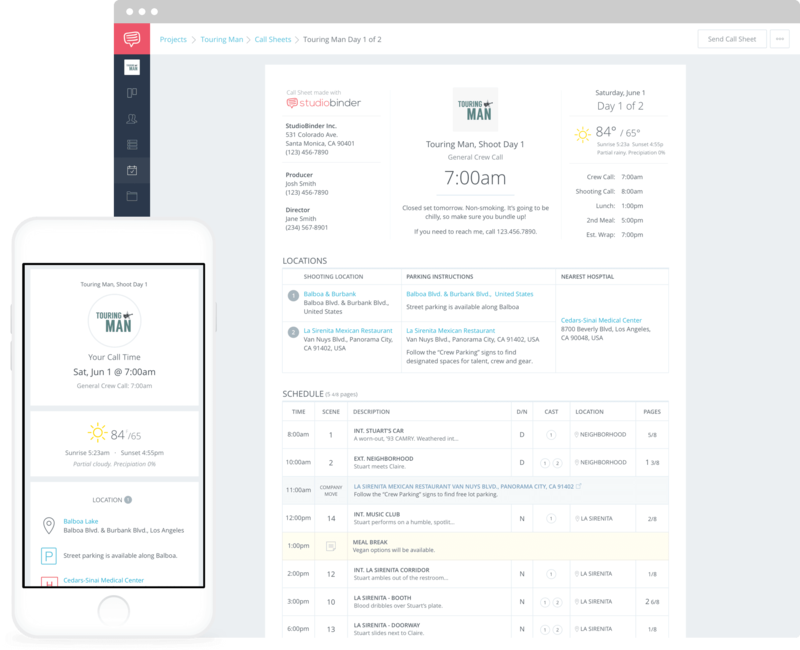 In addition to looking beautiful on desktops, our call sheet template is formatted to fit perfectly on mobile and tablet devices. Call sheets are emailed in the form of a personalized digest with a link to view the latest version of the call sheet online. PDF’s are also attached. 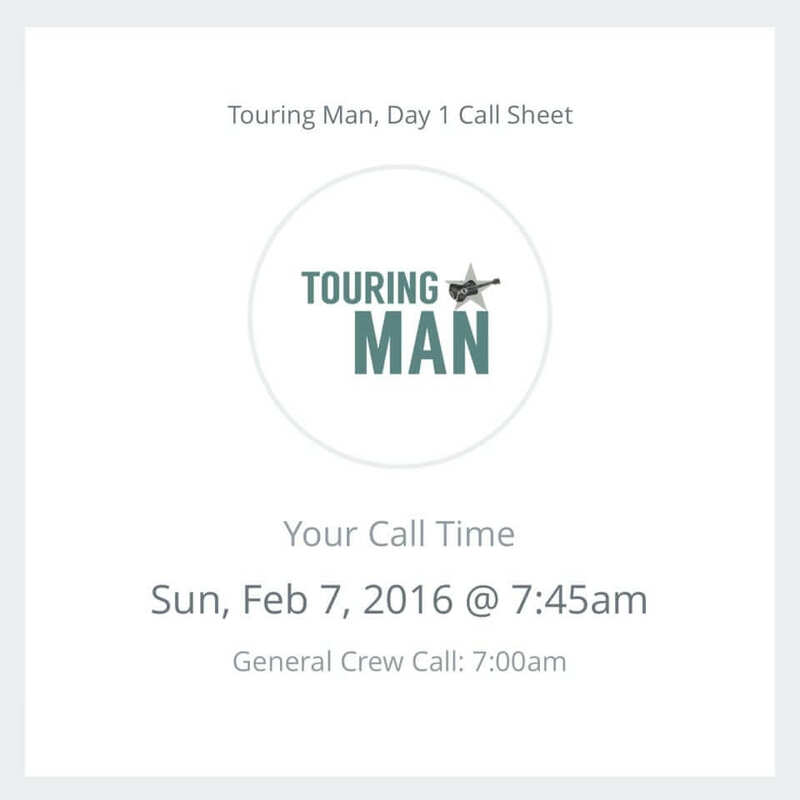 We track as recipients view and confirm their call sheet so you can rest assured everyone will be present. Free yourself from uncertainty. 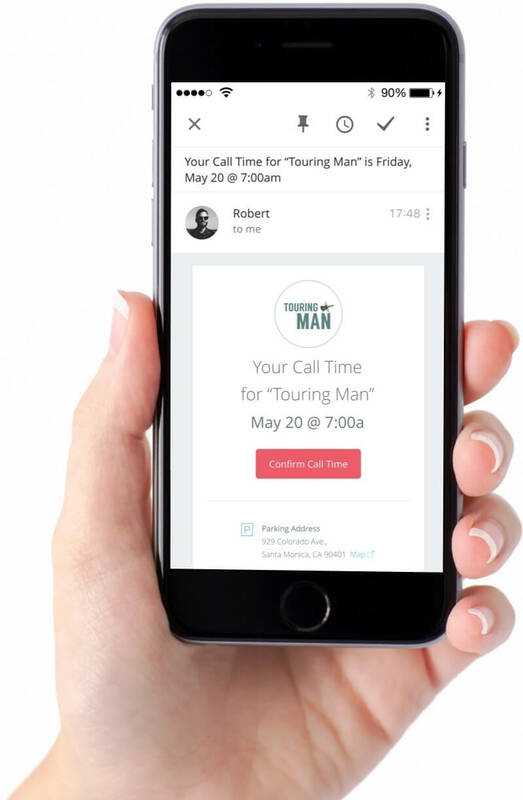 Put an end to the blind follow-up calls to see if everyone “got their call sheet.” Now you know with a quick a glance. We generate and attach call sheet PDF’s to emails. 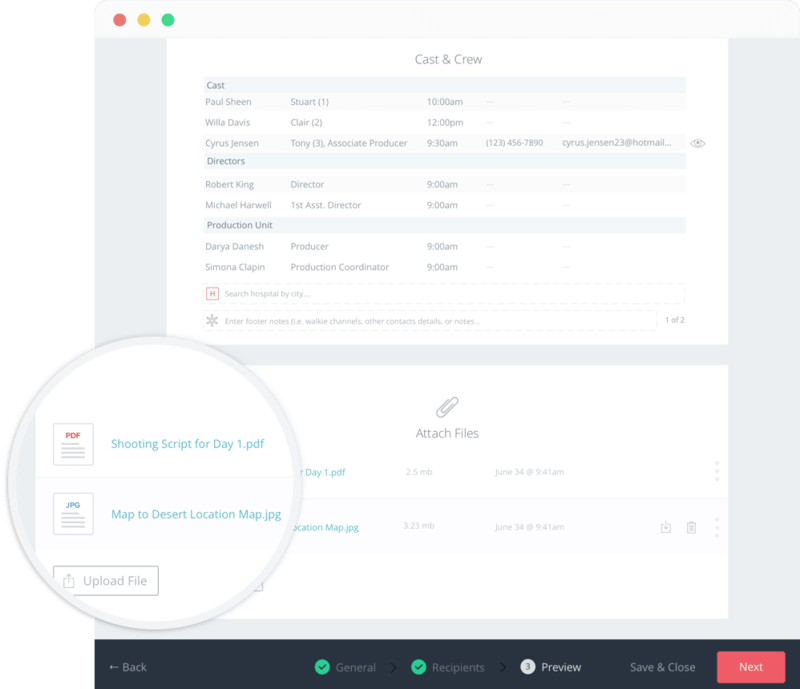 You can also attach additional files to accompany your call sheet template such as maps, scripts, shot lists, etc. ﻿﻿﻿﻿﻿﻿﻿﻿Stay on Top of Your Productions. 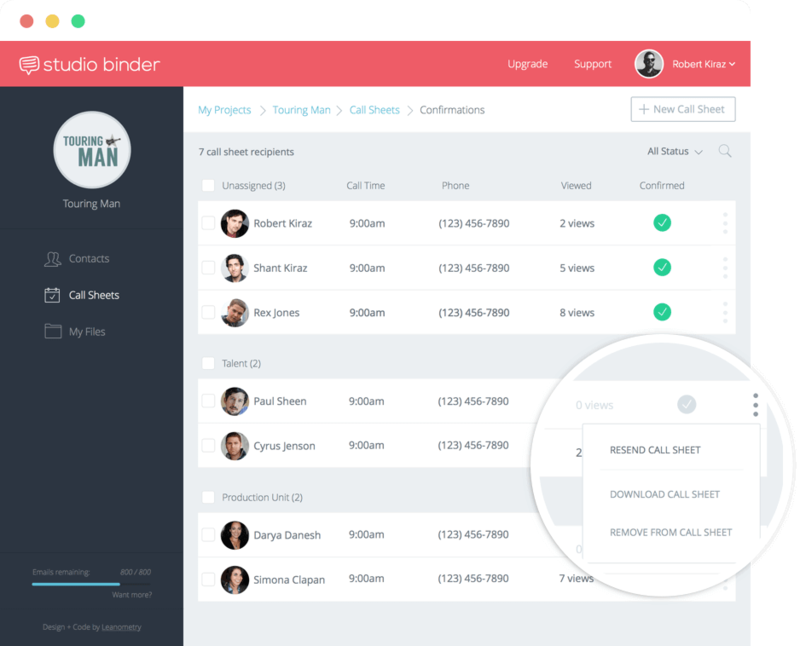 Create unlimited call sheets and have total visibility when they’re opened and viewed. Rest assured everyone will be present on set. More certainty. No more blind follow-up calls. Looking for More than Just A Call Sheet Template?